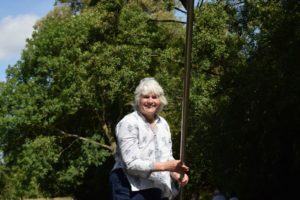 Cotswold and Oxford Tours offer walking tours of Oxford with a local guide. 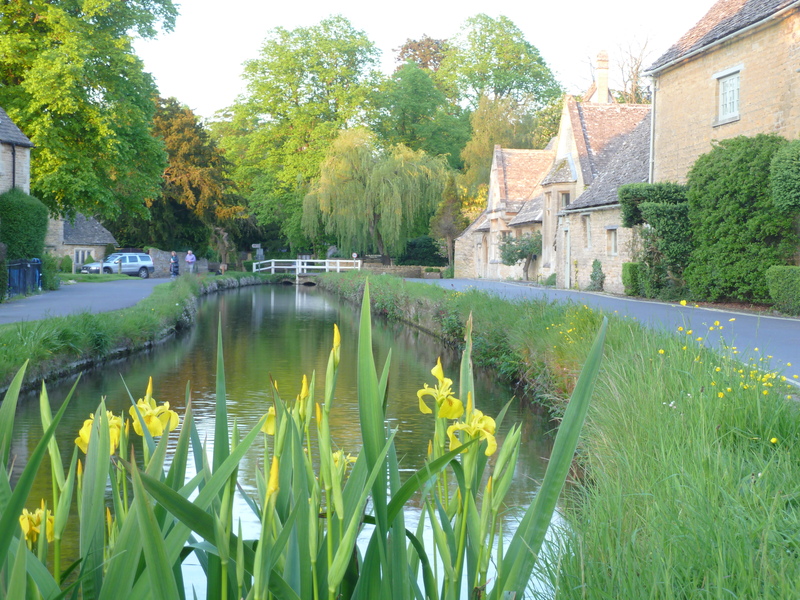 Explore the city’s hidden lanes with a local Oxford guide. Visit one of Oxford’s world famous colleges. We can not guarantee entry to a particular colleges – it varies from day to day as they are places of work. See the beautiful 15th century Divinity School – a filming location for The Favourite starring Olivia Coleman and Harry Potter. find out about Oxford’s eccentric customs, the history of the university and what life is like for a student today. 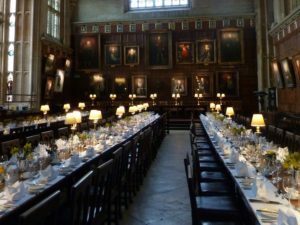 Visit Oxford’s Harry Potter filming locations. See Hogwart’s hospital wing and the Muggle college hall on which Hogwart’s Great Hall is based. Find out where Draco Malfoy was turned into a ferret. Discover how Oxford influenced great children’s books including Alice’s Adventures in Wonderland and Sir Philip Pullman’s books about Lyra. 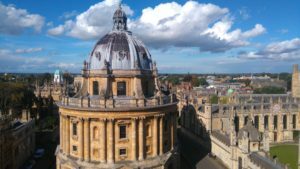 Oxford played a starring role in the TV series Inspector Morse, Lewis and Endeavour, which were inspired by the novels of local author the late Colin Dexter. Sleuth out filming locations around the city with one of our guides. You could have a drink in one of the pubs loved by Inspector Morse or find out where Hathaway drank a cup of poisoned coffee. In which Oxford college did the young Endeavour develop fear of heights? 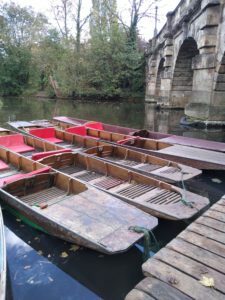 If you have more than a couple of hours in Oxford why not have a go at punting. It is one of the most beautiful ways to see the river and is great fun. Tabby from Cotswold and Oxford Tours punting. 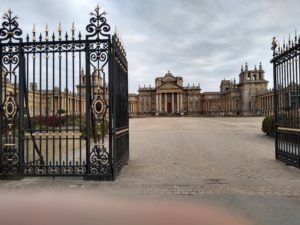 You could include a visit to Blenheim Palace a UNESCO World Heritage Site, which is a short drive from Oxford. The Palace is the birthplace of Winston Churchill. 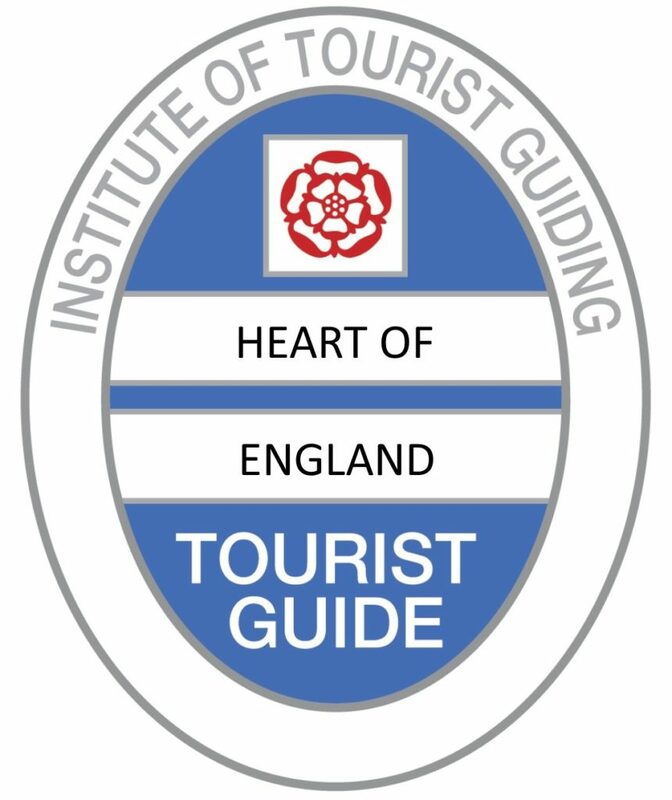 Terms follow the guidelines set by the British Guild of Tourist Guides. Cancellations with less than 7 days notice will incur a charge. Entrance to Oxford colleges and other sites is not included. You will also need to cover the cost of any transport and refreshments. 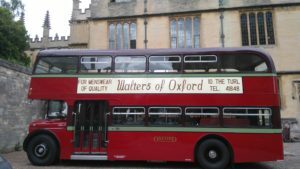 Cotswold and Oxford Tours can arrange for a coach, taxi, or chauffeur driven car. The "Chedworth bun" is a fossil found in the Cotswolds. Oxford University is older than Cambridge University. There are 4,000 miles of drystone wall in the Cotswolds. The Cotswold Lion is a breed of sheep. Oxford has 44 colleges and halls.